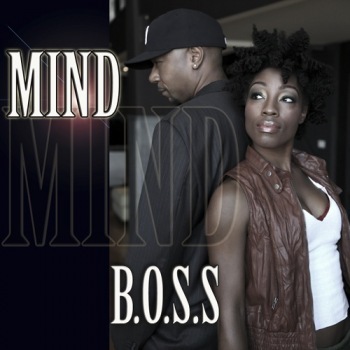 B.O.S.S recently released the tune, “Mind”, which brings a slight experimental feel with a dream-like quality to the vocals and music. The soulful tune produced and composed by B.O.S.S Music’s DJ ABBY AB is driven by heavy bass guitar and drums with rhythmic electric guitar licks, accented by keys, horns and sultry, sparse and dreamy vocals written and performed by the lead singer Natalieq. The music video for “Mind” is directed, produced, photographed and edited by veteran music video director Abdul Malik Abbott. The black & white filmed, performance-driven music video primarily focuses in on the beautiful and poised lead singer Natalieq, inter-cut with images of DJ ABBY AB playing bass, guitar & keys as well as vignettes with friends of the band, including filmmaker Adisa Septuri, former Fela dancer Aimee Wob, singer Kia Muze, Jamie Slaughter, Conisha Dorsey and drummer & Digital Underground co-founder Jimi Chopmaster J Dright.